VERSION 3 upcoming: Thx to Marty McFly - I mailed him and he improved the EMboss shader very quick! This includes some great additions to simulate a more depth and less annoying effect in the distance, so it can be set to higher values without looking like a comic on distant obejcts. I'll upload it soon. I HIGHLY suggest to use this preset in addition to DDS - Dynamic Display Settings! It's similar to Imaginator, but you can set the values of coloring, DoF, Bloom, Saturation, Contrast, Brightness, and more for seperat daytime, nights, interiors and exteriors! Is this compatible with ENBS? Why yes, of course it is! Could you possibly update your Installation section for MO2? MO2 doesn't really overwrite anything. I'm sorry. but I don't use MO2.. What would I have to change? I don't think this could be installed with MO2 since everything is located outside of the Data folder. So...I've followed the directions step-by-step perfectly and every time I press play on the launcher I get immediate CTD. Any help?? Thanks in advance. Fixed it by going into borderless windowed mode, looks great! However, I am noticing a significant performance hit when toggling the effect on and off. Good you got it working, but it should work in fullscreen. If you have a good PC then it might be caused by playing in windowed mode. Can you use it in full screen now? And if you still get an performance impact (have you tried some tipf of my guide on my other nexus page?) try disabling MXAO in the Reshade GUI. Using NoDOF version, Looks very good but sadly I am getting a lot of fps drop, mainly from MXAO and Clarity, I am testing at riverwood. 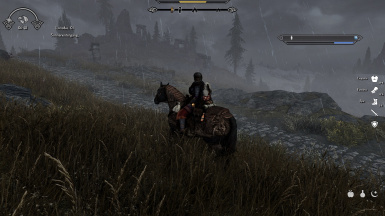 Any chance you could post your Skyrim.ini and SkyrimPrefs.ini so I can test against mine. Check the PERFORMANCE GUIDE spoiler at the bottom of the page. But maybe you can safe some time if you tell me your hardware specs (CPU, GPU, RAM), as there might be a possible bottleneck on something's side - depending on your rig. Most likely my Graphics card, not the best GTX 750 TI 2GB, its a temporary replacement since my gtx 960 went bust. Yeah using Bethini as well, usually get 45+ on high. Was 30 even at the main menu(Usually 60), and 22 in game. Thanks for the links I will have a look. - the ingame VSYNC is DISABLED! Because otherwise it would cap FPS to 30 everytime when it gets below 60 FPS! I use RadeonPro driver-side Vsync and FPS cap at 60. I might have forgotten something, but that are most of my "tweaks" and the games runs very good. So you might want to use BethINI medium setting and set some stuff manually to your liking. - You can find all these settings in the Dolomite Weathers download section. Pick the "recommend INI settings file" and adjust these values in your ini if you don't use that mod. But DON'T use those settings which are commented as "performance impact" or similar (only use those with e.g. "negligible performance impact). Each setting is commented and explained. - There is one thing which gave me the best performance boost including better visuals: Don't use mods like SFO! This is very FPS taxing! 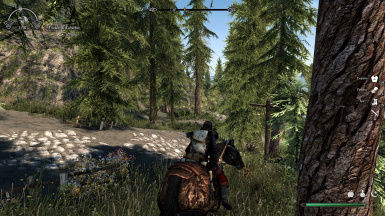 I use "Vanilla Vegetation Overhaul" which is very very easy on performance and looks amazing! In combination I'm using: "Majestic Mountains" with LODs pack, "REALly Blended Roads" (from Blended Roads download section. That's similar to Real Roads but much better on performance! 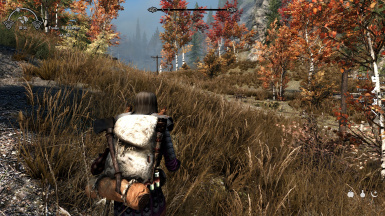 and also "Terrain LOD Redone" - all mods with LOD pack (when available. Vegetation Overhaul includes Billboards) - and then I use DynDOLOD with MEDIUM preset (this is only very slightly different from HIGH preset). Well, this combination increased my overall performance and visuals a LOT! Edit: Forgot sth: Most important too! 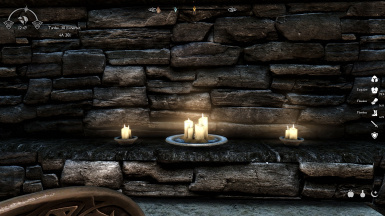 Set Godrays to Medium everywhere in BethINI. And in your driver settings Tesselation to 16x. That will save noticeable performance. Thanks can run the DOF version on Ultra with some tweaks, getting 30 fps looking towards Riverwood from the bridge, which is always a bad spot for me. Have to leave MXAO off though, shame cause it looks great. Will be using this in my next playthrough if I ever get started, I seem to spend more and more time setting it up. 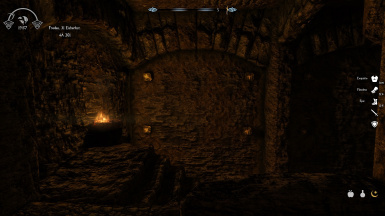 Was having similar issues with shadows in f04 before I started using Shadowboost, god would I love that for skyrim. Thanks for the mods and advice. Endorsed. 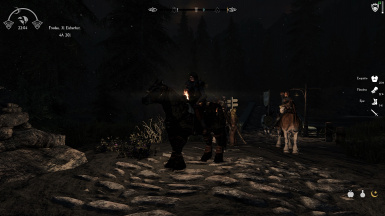 Oh, some people say that Shadowboost works with SSE. But cannot confirm that because I don't need it. As you're using ULTRA settings (with tweaks) I recommend to use lower preset and tweak some settings to high/ultra manually afterwards. This will give you better FPS + it looks also great. There is really not a bi difference compared to ULTRA preset if you find the right values for your setup. 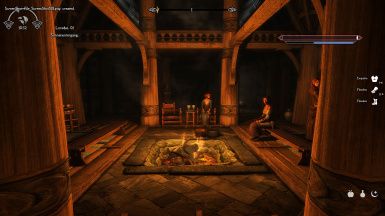 And yes, I really needed MONTHS to set up my SSE to run properly - finally. Bethesda really could have done a lot of things much better - while looking as great as it does now but with much better performance. The Author from Majestic Mountains is an expert on these things and he explained me some things which sound logical too me. He also did great work on the new REALly Blended Roads - and that without the game slowing down. I'm skeptical on that but will test it anyway, it has simple install and uninstall steps. Yeah your right it will take some time to get the right settings, Going back to square one and stress testing starting from poor settings. 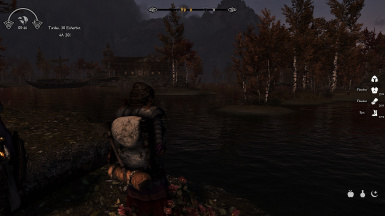 when i fast traveled to the farms across from the Windhelm dock, and remained at 50fps regardless of changing to a new location, haven't been able to replicate it since restarting the game. I have no idea what to make of this game lol. 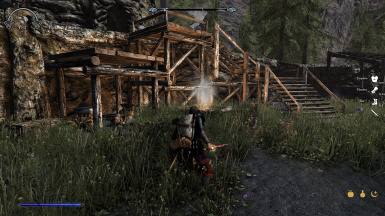 Edit: figured it out, if i launch in full screen it does 60fps, but if i tab out to desktop and switch back to skyrim it gets locked to 50fps which is what it should be at. Weird! But isn't 60 FPS better? However, I've read about this "method" once back in the days where they talked about possible fixes for framerate drops. For some people it helps to tab out to desktop and then back into the game. But for me this doesn't change anything. 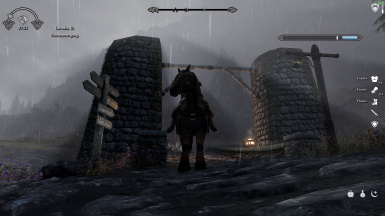 So you're now able to run it with 50/60 FPS at Riverwood? That's nice! I get 45 in that area. What did you do? Just started using the no DOF version and this just became the first reshade that hasn't killed my fps. I didn't even know that was possible! Thanks so much! Is there going to be a NMM download or only Manual? not sure how i would install it as manual for something like this. Please and Thank you. No NMM download as it cannot be installed correctly that way. But you just have to ennlarge the "INSTALLATION" section (there's a spoiler below) and there's a detailed explanation. You're welcome. That was exactly my intention too. 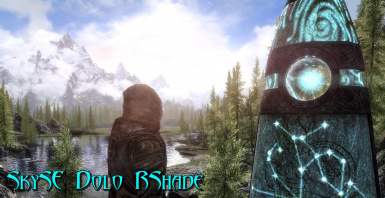 as a person who hasnt used reshades very much, what are the advantages it has over enb? 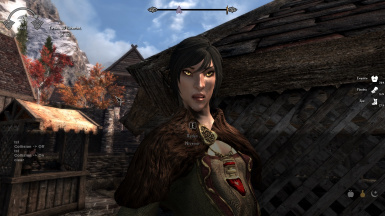 from what i understand reshades are a nice way to make most games look better but i dont understand the reason to use them in skyrim as i didnt see any reshades on the nexus before special edition when ENB wasnt out yet. your reshade looks very nice though. ReShade is compatible with pretty much anything that uses Direct3D, which is, like, a lot of games. It's also easier on performance. 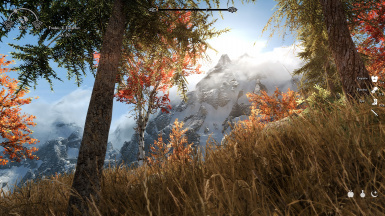 If your ENB preset's look could be achieved with ReShade, ReShade is the superior choice. If an ENB preset and a ReShade preset look the same, using the ENB preset is just throwing frames away. ENB stuff has to be written by a guy named Boris, and is only compatible with games that he decides it should be compatible with (Boris doesn't like Dark Souls, for instance), plus you have to get the basic files from his site. It's also a lot to ask of most users to create a system-specific enblocal.ini file, since the documentation on how to do that is hard to find and some people just aren't confident in their ini skills. As for "I didn't see any..." that's your experience. I saw a bunch, but some of them had "ENB" in the title because ENB is such a big name in this community that authors are willing to sacrifice on using the right name in order to get the extra users. @lued123: That's explained very well! I wasn't sure about downloading n giving it the 5 minute try but I am happy that I did; can't explain it but everything is so detailed and my FPS increased without any lag at all. Got to learn how to get some screen shots and will upload. Well so much for the 5 minute try, think I'll just loot it for now and keep it. Thank you, glad you like it If you want to post some screenys, go on. I will post them for sure. EDIT: You already uploaded them. Thx! Just verified them. One was doubled (Screenshot 0, or was it a comparison shot? ), deleted that one. You're welcome Hope you/he enjoy(s) it. As he is using an older computer, maybe you could provide me some feedback how it's working for him according to performance, including the hardware specs? This would help me to maybe optimize it if necessary. I'm also going to create another version with different coloring. 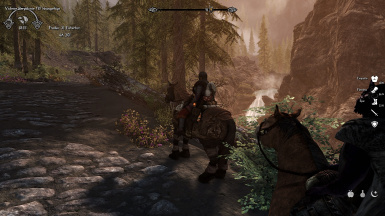 The current preset doesn't change colors much, just pronounce them a little more and also darkens the bright snow in sunlight mostly encoutered with Dolomite Weathers.